If you’ve read a “best of” list, you’ve heard of Fort Collins. With 160,000 residents and growing, people are flocking here to live, work, and play. We know how to use 300+ days of sunshine, with 35,000 acres of natural areas, 48 city parks, 10 miles of river, and 315 miles of bike lanes and trails. There’s a lot to do just a short drive away from the foothills of the Rocky Mountains: summit a peak, reel in a big catch, or just lounge beside a mountain lake. Limitless educational paths and challenging academics provide a foundation for the future. Eighty-four percent of our grads are in jobs related to their career plans. CSU’s progressive academics engage students by tackling problems and issues they’re passionate about. 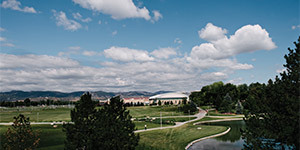 Ninety percent of freshmen report they’re “solving complex, real-world problems” at CSU. In one word: progress. Our entrepreneurial spirit, combined with a global outlook, makes Fort Collins a magnet for innovation, careers, and healthy, happy people. At Colorado State, you’ll find students and faculty working toward something better—a better world, a better solution, a better you. Our students graduate to well-paying jobs in fields they love,study at 200+ graduate schools, andare known for their strong academic skills and solid life experience. 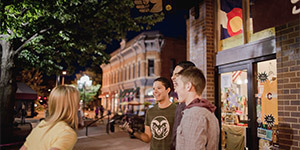 Our hometown of Fort Collins reflects our energetic-yet-relaxed community. 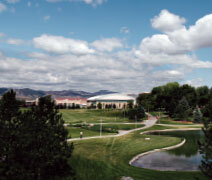 It’s hard to resist our accessible foothills and tree-lined streets: one visit and you’ll see what we mean.